Bake a classic dessert! 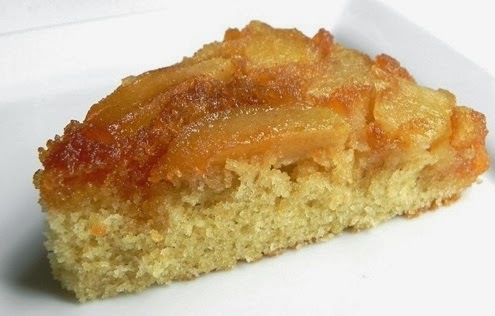 Buttery rich and the Cinnamon and Apples make this yellow cake flavorful and delicious. In 9-inch square pan, melt butter in oven. Sprinkle brown sugar evenly over melted butter. Sprinkle cinnamon over the brown sugar. Peel, remove core, and slice apples (thickness ¼). Arrange apples over brown sugar. In medium bowl, mix the cake batter according to the directions on the box. Bake 50 to 55 minutes or until toothpick inserted in center comes out clean. Immediately place heatproof serving plate upside down over pan; turn plate and pan over. Leave pan over cake a few minutes so brown sugar mixture can drizzle over cake; remove pan. Deliciously spiced sweet potatoes are grilled with apples for a perfect mouth watering blend. Grill and Oven directions. Preheat an outdoor grill medium heat. In a bowl, toss the sweet potato and apple slices and dice with the cinnamon and sugar. Divide the mixture into 4 portions, places each on a large piece of aluminum foil. Top each with an equal amount of butter. Tightly seal foil around each portion. Place foil packets on the grill, and cook 40 minutes. Turning every 5 to 10 minutes, until potatoes and apples are tender. Preheat an oven 350 degrees F.
Place foil packets on the grill, and cook 40-50 minutes. Bake until potatoes and apples are tender. 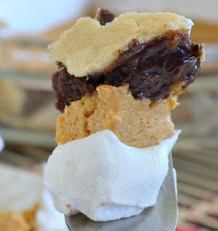 Pumpkin Cheesecake Brownie Pie is delicious and creamy! 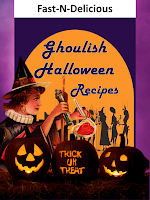 You can’t have enough pumpkin really! Roll out the refrigerated pie crusts. Place one sheet in a 10 inch glass pie plate. Cut small shapes out of the second pie crust with tiny cookie cutters. Arrange around the top of the pie crust in the pan. In a mixing bowl, combine the brownie mix, oil, water, coffee, and one egg. Beat until combined. Carefully spread in the bottom of the pie crust. Bake for 30 minutes at 350*. While the brownie layer is baking, in a large bowl mix cream the cream cheese, sugar, yogurt, and vanilla together until smooth. Add the egg and pumpkin and cream again. Slowly beat in the cinnamon, nutmeg, allspice and flour. When the brownie layer is finished, remove from the oven and carefully spread the cheesecake on top of the brownie layer. Place back in the oven and bake another 20-25 minutes. Let cool for an hour. Place in refrigerator and cool completely. Spread the cool whip on top and sprinkle with cinnamon if desired. The "Best Baked Sweet Potato Fries" are Yummy! 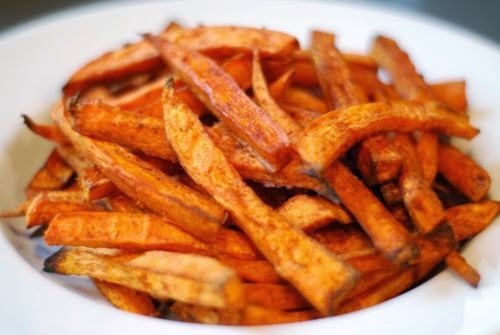 Easy to make & cheaper than buying sweet potato fries at the store. 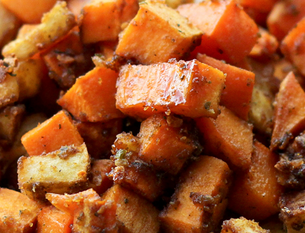 Prepare the sweet potatoes: In a small bowl, combine cinnamon, sea salt, and pepper. Peel potatoes, cut each in half lengthwise, and cut each half into 6 wedges. In a large bowl, combine the cut potatoes, oil, and spice mixture. Toss until potatoes are evenly coated. On a baking sheet, arrange potatoes in a single layer and place on the middle shelf of the oven. Bake at 425 degrees F 10 minutes then lower temp. to 400 degrees F.
Bake until edges are crisp and potatoes are cooked through -- about 15 minutes.